Diablo 3: Reaper of Souls is due out next week, and I figured this week would be a good time to get some practice in before the pandemonium begins again. It has been a good long while since I last made the journey to defeat Diablo and my skills are more than a little rusty. More importantly, I had uninstalled the game and forgotten my Battle.net password. Fortunately, my account had not been locked due to unusual activity – a condition that has plagued many of my comrades in arms. Apparently not playing the game for several months is considered unusual and grounds for locking. More importantly, I originally declined to use an authenticator; which made my password recovery so much easier. With the game installed and updated, perhaps it is time to consider the changes that have been made ahead of the impending expansion. Loot drop changes were originally intended for Reaper of Souls. However, Blizzard opted to include it in a recent patch instead. This change reduces the amount of loot that ends up on the floor, but increases the relevance of the loot to your character. Essentially meaning that everything found will be reasonably useful and not yet another strength boosting item for the Demon Hunter. At the core Loot 2.0 is a great system for getting loot. Especially after the full expansion is released and the race to complete the extra chapter begins. It will also help with those who decide to start over from the beginning, which is very likely due to the introduction of the Crusader class. Not to mention that the Auction House has passed into oblivion and good equipment will have to come from killing things. The timing of the patch should be recognised and applauded. It is not often that we see a gaming company retain such foresight into making changes. Updating the loot system before shutting the Auction House down is a minor, but appreciated move. Another minor change is that Blizzard have removed the original difficulty levels of Normal, Nightmare, Hell, and Inferno; and replaced it with more descriptive Normal, Hard, Master, and Torment settings. This was apparently also another change from Reaper of Souls that was trotted out with the 2.0.1 patch. It was around this point where I was reminded why some people still enjoy Diablo 3; and where I learnt that the game I quit playing so many months ago has evolved into something else. It is not only the loot system that has changed, Diablo 3 as a game is different. The changes are minor, but a horrible fate awaits those who have been out of the loop. Essentially, the minor adjustments to skills and mobs have altered the way characters behave. Having Paragon levels didn’t help either as I failed to adjust to the altered difficulty levels. One could say that the first couple of playthroughs are nothing more than tutorials for your class of choice. 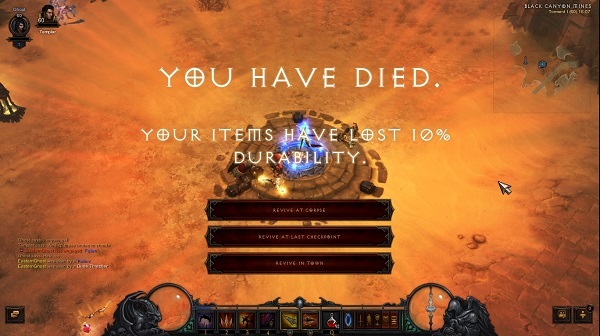 Which makes sense as Diablo 3 only comes alive once you reach the harder difficulties. Needless to say, my lack of practice resulted in short periods of fleeing in terror punctuated by destruction at the hands of an elite mob. It soon became a question of returning to easier difficulties to relearn the game or starting over with a completely new character. This being the case, I have opted to instead hold off any further attempts to defeat the great evil. As far as restarting the game goes, it would be a better idea to wait for new content before playing through it all over again. 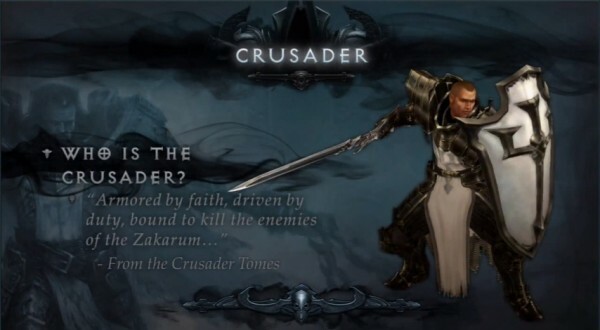 The Crusader class should at least offer something similar to the experience with the Paladin in Diablo II. At least that’s what I’ve been told by people who have played in the Reaper of Souls closed beta. While Blizzard tries to focus on the offensive capabilities of the class, it appears that players have found its passive defensive skills the most useful. That might not be the case when the finished expansion arrives, but it does provide some insight as to how the class will perform. More importantly, Reaper of Souls will introduce some sorely missed end game content in the form of Adventure Mode and Nephalem Rifts (formerly known as Loot Runs). Adventure mode is simply an open world free form gameplay where players are able to clear out maps without worrying about story elements or cutscenes interrupting the flow of play. Which is good because the dialog gets repetitive very, very quickly. 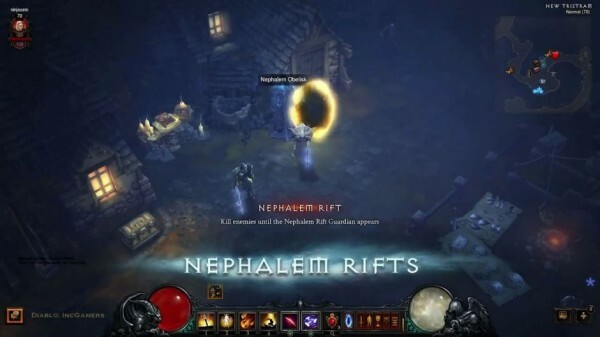 Nephalem Rifts are random dungeons that are accessed through special keys. As the original name suggests, players rush into the dungeon to slaughter everything inside and claim the (hopefully) amazing loot. 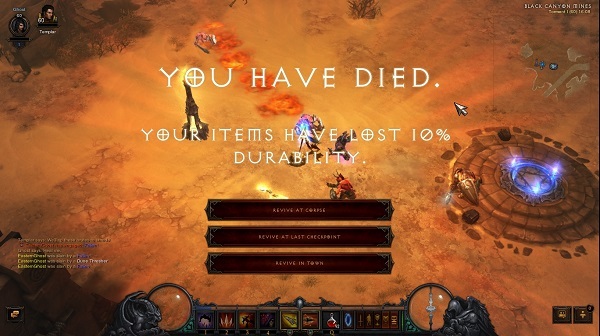 If anything, the Diablo 3 end game needs more features like this, if only to provide some variation to the experience. After all, the reason I stopped playing the first time was because the running around was very quickly becoming repetitive; even with friends to share the adventuring with. In conclusion, the Diablo 3: Reaper of Souls stands a good chance of revitalising a tired game. The danger of making something like this is the very lack of replayability, and Blizzard is trying very hard to address the lack of end game content. While this is a step in the right direction, it wouldn’t hurt if they borrowed some ideas from Borderlands 2 and began introducing smaller scale DLC quests. *Diablo 3: Reaper of Souls launches 25 March.